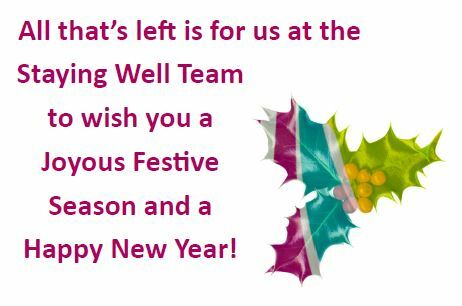 Golly – it hardly feels like 5 minutes since we had the last Staying Well newsletter but a lot has happened since then! We also need to keep you up to date with what is happening over the Christmas period and give you a chance to look at the full newsletter here. There will be the Brew and a Chat Christmas party at St. Columba’s Church Hall, Pellon on Monday 10 December, 10:30am-12:30pm. Tesco, Sowerby Bridge are sponsoring a Christmas party at St. Paul’s Methodist Church, Sowerby Bridge HX6 2EQ on Tuesday 11 December, 2:00pm. Following that we have the Memory Lane Christmas Party at the Maurice Jagger Centre on Monday 17 December, 12:00pm-4:00pm. Not everyone has the best time at Christmas and Todmorden Central Methodist Church will be holding a short, reflective service / contemplation on Saturday 22 December, 2:30pm for those who struggle over the festive period. This entry was posted in Dec, Events, Staying Well and tagged Staying Well. Lower Valley Friday Flyer 7 December – OUT NOW! !